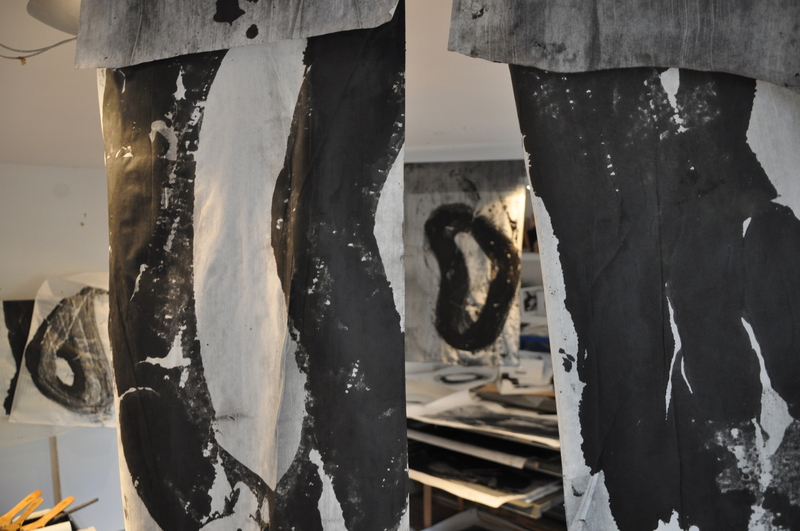 Work is progressing well within the studio in readiness of The Other Art Fair in October. Read a little more here. I am reminded as the commitment to an external deadline is enforced the value in ‘turning up’ at the studio. Putting the hours and graft into the work and being rewarded through its’ developments. Gaining confidence and assurity in the materials I manipulate and processes I employ.Whilst taking steps towards playful abandonment of an acquiring technique to court chance and learning from errors. 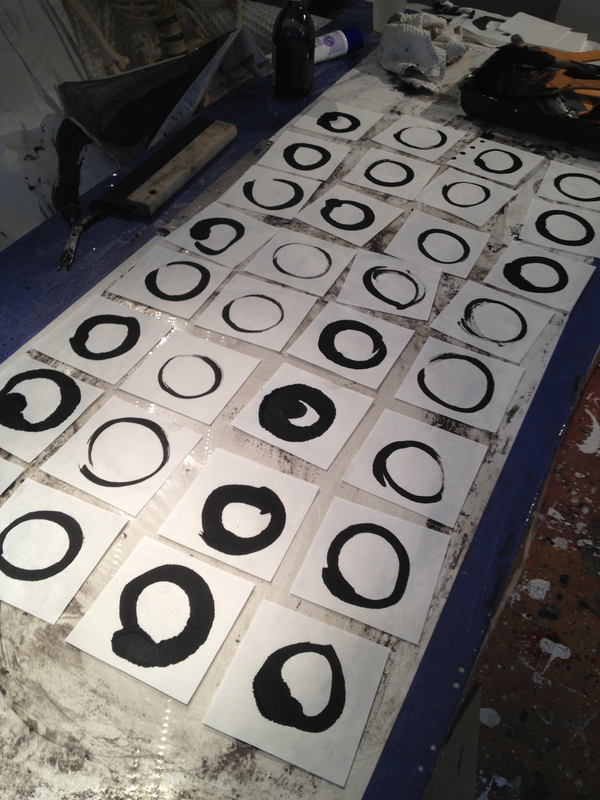 That like my continuous repetition of creating the Enso circle with ink on paper. Success is not measured by making the most perfect complete circle with once brush stroke but the joy of the many imperfect attempts.